i search a version of Turrican2 with this cracktro. After this cracktro startet the paramount+7 trainer. those heart-sprites are from the old funny game "mikie". as far as I'm aware, it's part of a tool called "Intro-Packer". This version of the intro was provided in version 2.0, updated by The Syndicate. 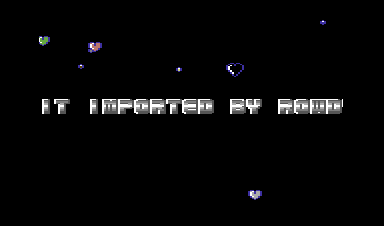 However in version 1.0, this intro didn't feature any background sprites. Seen this intro used by a lot of groups... is it from an intromaker?